The rising demand for electrical energy increases the importance and priorities of uninterrupted services to customers. Thus, faults in power distribution networks have to be quickly detected, located and repaired. We offer Pan India 24 x 7 timely service for underground cables of up to 33 KV working voltage all over India from its nearest located branch. Our wide range of quality services include Underground cable fault location, Hi Pot Testing, Cable route tracing, power cable fault locator, and pipe & cable detector to accomplish the needs of all kinds of industries. Our state of art, full featured electric cable fault location system tests, pre-locates, and pin-points the precise position of the cable fault within minimum time especially in a long distance range through the powerful Arc reflection method and or Multiple Impulse Method used for pre-location of high resistance faults. Low resistance faults can be located with the TDR only and without having to use high voltage methods. We have achieved excellence in power cable testing, electrical cable testing, high voltage testing of cables, and to detect LT cable fault, underground cable fault location, underground cable faults, cable fault testing, and cable fault finding. Burning is resorted to only in extreme circumstances. 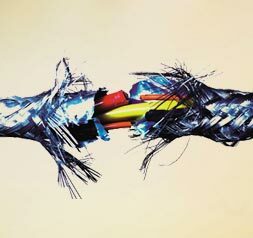 1000 to 1750 joules of surge energy provide the necessary power for accurately pin pointing cable faults with the acoustic method. HV Test is conducted on cable to cross check the health of cable. With our timeless services, and supreme quality buried cable detector, underground cable fault locator or detector, we have listed our name as the most trusted and renowned suppliers of such services in India.